It is often argued that Iran’s ties with Eastern powers would make it almost impossible for the West to thwart Tehran’s nuclear ambitions. However, recent years have displayed a very different picture: many emerging powers are beginning to distance themselves from Iran, forcing Tehran to re-examine its nuclear calculus. Emerging powers are more explicitly prioritizing their ties with the West at the expense of Tehran. In early 2000s, Iran-West relations faced a renewed period of crisis. Despite Iran’s constructive role in the immediate aftermath of the 9/11 attacks – from assisting anti-Taliban Western operations in 2001 to acquiescence in the run-up to the Iraq invasion in 2003 – the discovery of purportedly ‘clandestine’ enrichment facilities in Natanz and Arak baffled Western powers. Initially, the Iranians agreed to concrete confidence-building measures (i.e., implementing an Additional Protocol (AP) and imposing a temporary enrichment freeze) to contain the brewing crisis, but the situation dramatically escalated when hardliners (2005-present) took over the Iranian state. 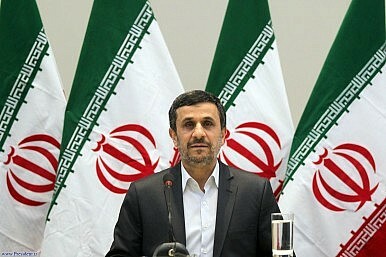 The new leadership, under President Ahmadinejad, upped the nuclear ante by pushing the boundaries of Iran’s enrichment capabilities, reversing prior agreements with the West, and ignoring repeated U.N. Security Council Resolutions calling for greater transparency and cooperation from Iran. Gradually, Iran faced not only political isolation, but also economic pressure as European companies withdrew from the country’s key economic sectors such as manufacturing and energy. In response, the Iranians sought greater support from traditional allies such as Russia and China, while offering increased access to companies from East Asia to South Africa, Turkey and Brazil to tap into Iran’s huge hydrocarbon reserves and burgeoning consumer market. Iran’s explicit alignment with rising powers accomplished two objectives: (1) Allowing Tehran to dampen the impact of sanctions and growing isolation within the Western order; and (2) Increasing the stake of emerging economies in the stability and growth of Iran, thus, providing Tehran with more international support amidst intensifying external pressure over its nuclear program. This trend reached its peak in 2010, when the Brazilians and the Turks brokered a ‘nuclear swap’ deal with Tehran. When the West turned down the deal, Turkey and Brazil expressed their dismay by opposing a new UNSC resolution against Iran’s nuclear program. Arguably, this was the last time that emerging powers firmly stood by Iran. The failure of the Turkish-Brazilian mediation was followed by vigorous, coordinated transatlantic efforts to force Iran into compromise. The West resorted to unprecedented measures targeting Iran’s economic lifeline: oil exports and the Iranian Central Bank. Meanwhile, the emerging powers began to distance themselves from Iran. The change in the Brazilian leadership reversed President Lula’s embrace of Tehran, while differences over the Syrian crisis – coupled with growing American pressure on Ankara – drove a wedge in Turkish-Iranian relations. On the other hand, the Chinese began (followed by the Indians) to exploit Iran’s growing economic isolation by pushing for barter trade, discounts and favorable credit terms in oil purchase, and lopsided investment deals in Iran’s infrastructure and energy sectors. The Russians – the world’s leading non-OPEC oil producer –joined the fray by benefiting from Iran’s declining output and rising global oil prices. For Moscow’s leadership, which is facing chronic budget-deficit and rising economic expectations, oil prices above $100 per barrel is a matter of fiscal survival. In early 2012, as unilateral sanctions intensified, Tehran’s Eastern partners progressively downgraded their exposure to the Iranian impasse. South Africa, Iran’s traditional trade partner, severely reduced oil imports from Iran. Later, South Korea, Japan, and Turkey followed suit by significantly reducing their Iranian oil import to gain American waivers of exemptions. Then came India’s gradual cut in Iran imports. Meanwhile, China paused increases to its overall intake of Iranian oil – compared to 2011 – and is set to further exploit its position as Iran’s sole major importer. In total, top Asian customers have reduced their Iranian imports by almost 18 percent., with Korea and Singapore set to completely halt Iranian oil imports. In exchange, the U.S. has granted waivers of exemption to all of Iran’s major oil customers. Iran’s economy is hurting. The World Bank and the IMF have markedly downgraded their forecast of Iran’s GDP growth for this year. From a relative high of 2.5-3 percent growth projection in mid-2011, the IMF is expecting only 0.36 percent growth, while the World Bank is projecting a 1 percent contraction for the year 2012. In the past, Iran could afford to defy the West, because it benefited from improving ties with rising powers, trade with European economies, and record-high oil prices. Now, Iran is not only facing declining oil exports and political estrangement with Europe, but it is also coming under growing pressure by the Russians, Chinese, and the Indians to strike a compromise with the West. Ahead of the recently-concluded nuclear talks in Moscow, leaders from Beijing, New Delhi, and Moscow have all called on Iran to cooperate with the IAEA and resolve outstanding questions to diffuse tensions over its nuclear program. While India's acting Permanent Representative to the United Nations Manjeev Singh Puri stated, “Iran should fully cooperate with the IAEA to restore the confidence in the exclusively peaceful nature of its nuclear programme,” the Chinese Foreign Ministry spokesman Liu Weimin urged Iran to show more “flexibility and pragmatism” in nuclear negotiations. For their part, the Russians sent Foreign Minister Sergei Lavrov to Tehran to urge the Iranians to contribute to a fruitful resolution of the nuclear crisis. Gradually, Tehran is beginning to realize that the BRICS are neither reliable nor are they capable of meeting Iran’s growing economic and security needs as the West tightens the noose around the Islamic regime. Javad Heydarian is a Manila-based foreign affairs analyst focusing on international security and development issues. His articles have been featured or cited in Foreign Policy in Focus, Asia Times, UPI, the Transnational Institute and the Tehran Times, among other publications.